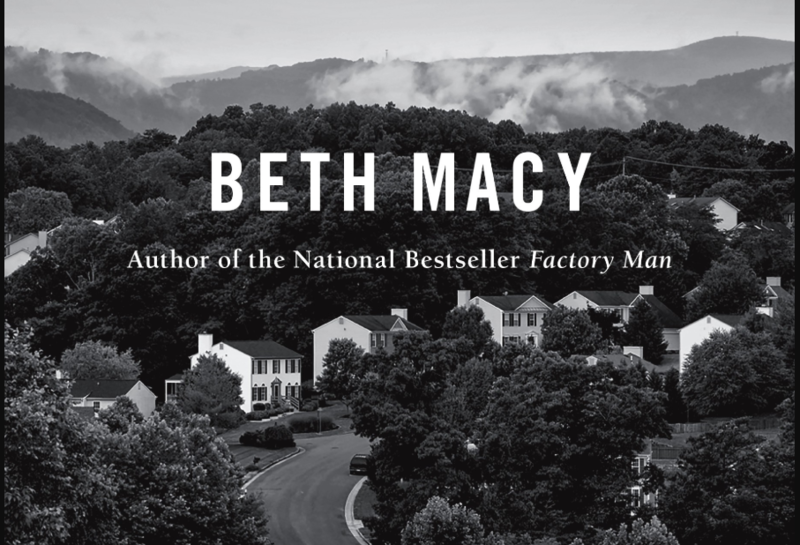 In her new book “Dopesick: Dealers, Doctors And The Drug Company That Addicted America,” journalist-turned-author Beth Macy claims central Appalachia as the birthplace of the modern opioid epidemic. If anyone can make that claim, Macy can. Thirty years ago, she worked as a beat reporter for The Roanoke Times, southwest Virginia’s largest newspaper, focusing on social and economic trends and how they affect ordinary people. The Times’ staff– mainly Laurence Hammock– covered the stories of the addicted and their families, the corrupt doctors that both over-prescribed opioids and dealt with the aftermath, as well as the cops, the judges and the first-responders caught up in the encroaching epidemic. As the epidemic continued to grow, Macy found she had enough compelling material to turn the reporting into a book. In “Dopesick,” Macy traces how the profit-driven Purdue Pharma, a drug company, began aggressively encouraging patients of the time to take Oxycontin for pain and how the cycle ultimately led to the abuse of heroin when those opioids in pill-form became harder and harder to come by. 100 Days in Appalachia’s Hart Fowler recently spoke with Macy about the book, and what it was like to be among the first reporting on—and paying attention to—the opioid epidemic. What follows is that interview, edited for clarity and length. Hart Fowler: The title of the book “Dopesick” refers to the nightmarish and extremely painful symptoms a heavy drug-user experiences during withdrawal. Addicted users eventually don’t use drugs to get “high,” but to help ease the debilitating sickness that comes from quitting cold-turkey. Would you describe some of the symptoms you’ve witnessed of someone being dopesick? Beth Macy: Sure, almost to a person, everyone I’ve interviewed said it’s like the worst flu times a hundred. Night sweats, diarrhea, vomiting, fever, restless legs; it’s a physical pain that everyone I spoke with would spend [their whole days] avoiding feeling. I know [“Dopesick”] is an in-your-face title. If people could just understand that number one, a lot of people weren’t [using] to get high, but because they’d been addicted to this drug, some of them initially through no fault of their own, maybe that would go a long way towards the public understanding and reducing the stigma that prevents some of these people from getting life-saving treatment. HF: Do you remember your first assignment for the Roanoke Times 20, 30 years ago? BM: I worked [at the Roanoke Times] for 25 years. I was the family beat reporter. My last big series I did was in 2012 was a three-part series about heroin. I was following the travails of these two families whose lives had been upended by heroin. One was a 19-year-old kid who had died of overdose. And the other, the same age, his former classmate [Spencer], was about to go to prison for his role of handing him the heroin that led to his death, and of course he was an addicted user himself. Not excusing what he did, but they were all at an apartment partying and that happened and Spencer got the blame for it. I was following him around trying to figure out what was happening, because everyone was like “what, wealthy white kids are doing heroin in the suburbs?” Nobody had any idea, myself included. In some way this was my first experience writing about this. I had read when Oxycontin first broke out in the coalfields in central Appalachia in the late” 90s, [but] I didn’t quite put together the connection between all the stories until after the series on heroin that the Roanoke Times ran in 2012. And most people in the country didn’t… The pills are chemical cousins, when the pills get hard to get—if there’s no treatment available for people—they go out to the black market and switch to heroin. That was an important thing to get across. HF: Not only is it somewhat of a surprise that we see the abuse of these drugs in the middle and upper-middle class, but also how modern drug epidemics tend to begin in an urban environment—whereas arguably the opioid epidemic began in a rural environment here in Appalachia. BM: Right, so for that reason it was easy for it to happen in “politically unimportant” places. Regional media like the Roanoke Times stopped covering the rural hinterland. Newspapers were dying, and politicians stopped giving a crap about poor people from the mountains, as one of my sources Dr. Van Zee said. He was the first doctor in the country from rural St. Charles Virginia in Lee County in the heart of central appalachia to pick up the phone and call Purdue and say,” This drug has got to be addictive. I’ve got kids I immunized as babies showing up in the ER with overdose.” [This was] in the late ‘90s. People he had treated for years, farmers and coal miners, most of them in their ‘70s, losing everything they had built their lives around because of Oxycontin. HF: One can only imagine the attachment that must’ve come with writing this book. Your closeness with your sources who shared their most private feelings during the darkest times in their lives is remarkable. They not only opened up to you as a journalist with a notepad and a recorder, you also became their intimate friend and even surrogate member of their family. Why do you think you were welcomed in such an endearing way? BM: The last third of the book follows the travails of Tess Henry, this beautiful former honor-roll student and basketball star and poet. By the time I met [Tess] it was November 2015, she was three years into her addiction. Her dad is a surgeon, her mom is a hospital nurse, a very educated family. She grew up with a second home. I mean just not what you would expect. Not the kind of person that falls through the cracks typically in our society, and yet over and over and over, [clinic after clinic] denied her treatment. They were so worn out with it. Dr. Van Zee, who I talked about in the book, he still works 14 hour days and I think he’s 71 now. Sister Beth Davies is 86. She’s the activist nun that also fought Purdue in the early years, she works 12 hour days and she’s 86. She’s a drug counselor. I mean these are incredible people and they’re so worn out. I saw a drug-court judge’s hair turn from salt and pepper to white in the course of about 18 months. I was shocked by the last time I interviewed him how much his hair had changed. He’s just so worn out. People were coming up to him at the grocery, in tiny Lebanon, Virginia, begging him to put their children, their adult children, in drug court—people who don’t even have charges. I think I showed up at the time when they were so worn out they didn’t care about the stigma at this point. I mean, some people still do, but a lot of people are just willing to let me in. HF: Yes, I can only fathom the stresses through such hard times. I’m sure you were aware there was a good chance that some of the people you were speaking with weren’t going to make it, or the odds are not in the favor of many who are addicted here. Did you prepare for that possibility? That these stories may not necessarily have a good ending? BM: I did. I spoke with one of my good friends, Roland Lazenby, who has written a lot of sports books, a really excellent writer. He’s been writing books a lot longer than I have. He said you should focus on the heroes because that’s what the readers will come to identify with and those are the people who are going to help get us out of this crisis. He quoted Mr. Rogers—”find the helpers”—and that really became my lodestar, because I knew I could live in the material a bit better if I focused on the families and the first responders that were fighting back. You know at no point in the book do I hang out with active users in the middle of their using. I hang out with active users but with me at the time I’m not necessarily living in their homeless world or watching them inject heroin into their veins. At no point do I watch anybody use or describe anybody using. That was partly to protect myself. And also so many people in America have no idea how bad this epidemic is. 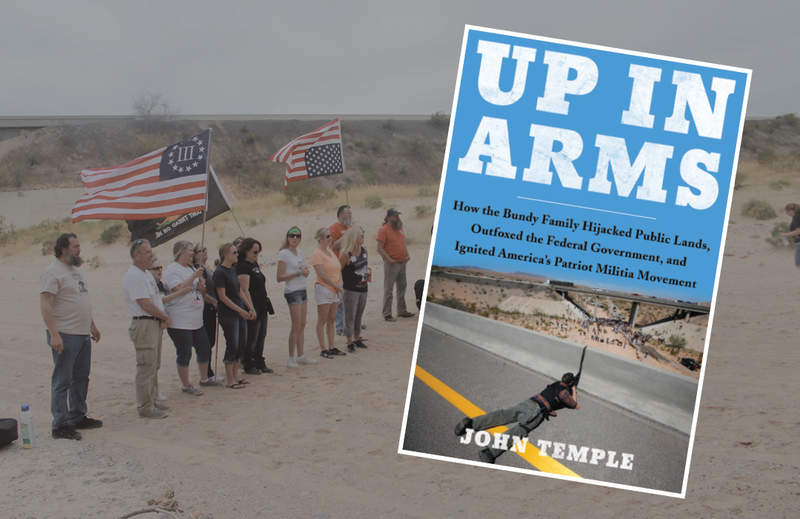 I wanted to write something that would illuminate it and make them care and make them really understand how hard these families and first responders are working to keep their loved ones alive. At the end, did I know that I was eventually going to get a call that one of my main sources in the book had died? I had [seen] the data. It takes the average user eight years of fortified treatment to get one year of sobriety, I knew [with] Fentanyl [emerging], people didn’t have eight years. Tess Henry had only six. And I knew eventually I would get the call from her mother but didn’t know when and then the day after Christmas. [But] it wasn’t the call that we thought. [Tess] was dead but she was murdered. She was left to fend for herself in this far away city where she had relapsed and been kicked out of abstinence-only treatment. It’s another huge telltale sign of how important treatment is, that we allow the narrative that abstinence-only works, and that hurts people with opioid abuse disorder. People continue to fall through the cracks unless they are given easy access to medicated assisted treatment. HF: Can you elaborate a bit on Medication-Assisted Treatment and why this form of treatment is a big point of a contention between recovery centers, law enforcement, addicts and their families, and the medical community? BM: [Prescribed] maintenance drugs are basically weak opioids that block the receptors [in the brain that allow you to get high], if you’re taking them correctly. The [most utilized of which] are buprenorphine and suboxone, and if you’re taking them like you’re supposed to, and then you shoot up heroin, you won’t feel the effects. Study after study shows, people who take these drugs correctly with counseling are less likely to [commit] crime, less likely to relapse, and less likely to die. They are 50 to 60 percent [less likely to die], compared to abstinence-only models that show only a 6 to 10 percent (success rate). Fifty to 60 percent is pretty good, but that’s still 40-50 percent that it doesn’t work for all of the time, and a lot of people have to go through numerous attempts. There is also a lot of diversion and abuse of [MAT prescriptions] which is why law enforcement is against it. But still, if you say your goal is to prevent overdose [deaths], there is no question that it is the number one way to do that. It’s the low hanging fruit. HF: Is it accurate to say the opioid epidemic has the signs of getting worse before it gets better? BM: It’s completely accurate, the latest statistics from the Center for Disease Control show that we lost 72,000 [people to drug overdose] last year, which is up 10 percent from the year before, which are largely due to opioids if you look at that. And the few states that have MAT widely available, emergency room to MAT programs as a standard, and also have syringe exchanges, and harm-reduction programs in place—there’s three New England states, Massachusetts, Rhode Island and Vermont—we’re starting to see a slight decline. But overall, epidemiologists and public health experts have shown it’s going to plateau sometime after 2020. That’s unnerving, “sometime after 2020.” These [three New England states] were early passers of medicaid expansion. In Virginia, we just passed it. It is the number one way to get people that don’t have insurance into treatment. Beth Macy is also the author of “True Vine” and “Factory Man.” “Dopesick” was recently optioned by Fox 21 Studios to develop for television. Hart Fowler is a freelance journalist and former publisher of 16 Blocks Magazine who has written for The Roanoke Times and Blue Ridge Outdoors.